Lock body made of solid brass. Encapsulated lock body with special protective cover in front of the lock mechanism to protect against water and dirt. Impact-resistant plastic sheathing. 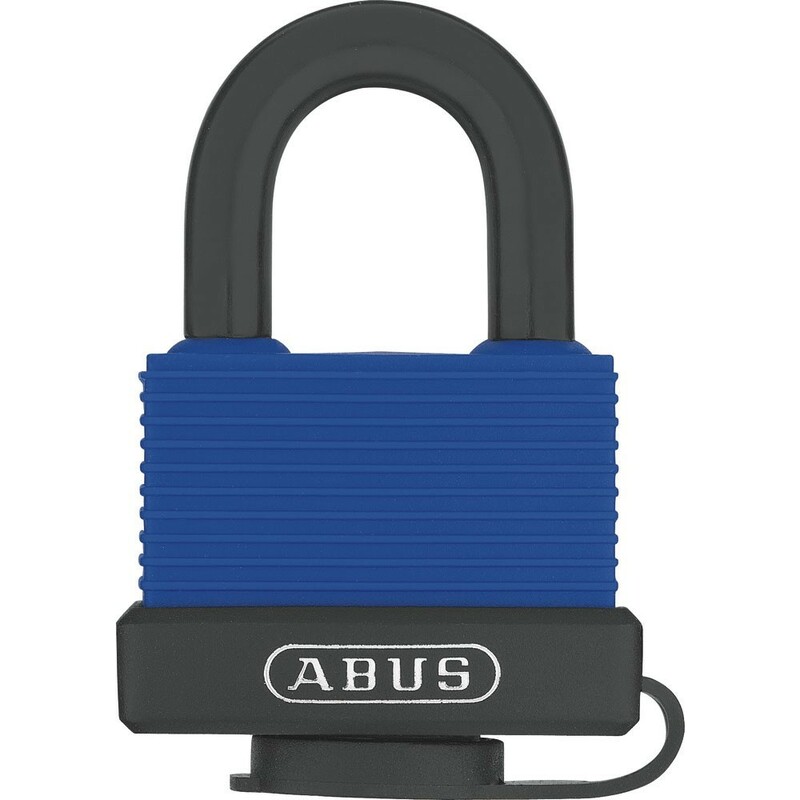 Shackle protected by sealed plastic jacket. Inside parts made of 100% rustproof materials. Drainage grooves to carry off penetrating water. Double automatic locking. Precision 5-pin cylinder with mushroom counter pins.